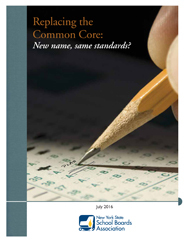 Replacing the Common Core: New name, same standards? 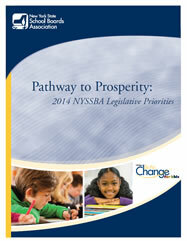 New learning standards being developed in New York State are likely to be similar to the Common Core standards they will replace, according to NYSSBA's latest research report. 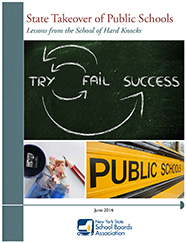 A new NYSSBA research report examines state takeover efforts in Massachusetts and Tennessee, which demonstrate that a successful school turnaround requires sustained effort and community buy-in. Have you ever wondered if comments you hear about gender differences and learning are really true? Are boys better at math? Are girls better at English? 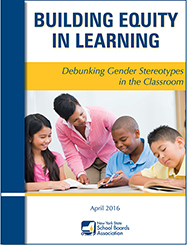 NYSSBA's new report, Building Equity in Learning, tackles assumptions about how girls and boys learn, drawing on research to debunk or clarify them. 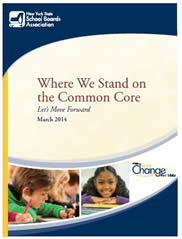 The report offers recommendations to help every student reach his or her full learning potential. Test anxiety. We’ve all heard the phrase. But what exactly is test anxiety, and how common is it among students? Moreover, which students does test anxiety affect most often, and what factors contribute to test anxiety? 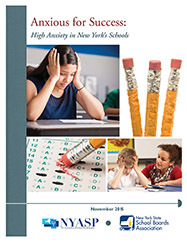 NYSSBA and the New York Association of School Psychologists have teamed up to create an in-depth report on test anxiety. Do today's students sometimes seem more interested in playing games on their smart phones or tablets than on what’s going on in the classroom? If so, find out why! 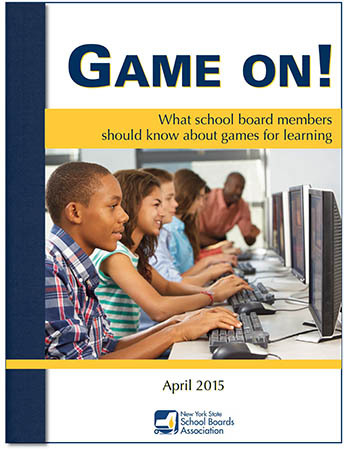 NYSSBA’s latest research report explores how many of today’s video games use principles of educational psychology to motivate students. Learn how to leverage that technology to boost learning, and see how New York schools are using video games to further their educational goals. 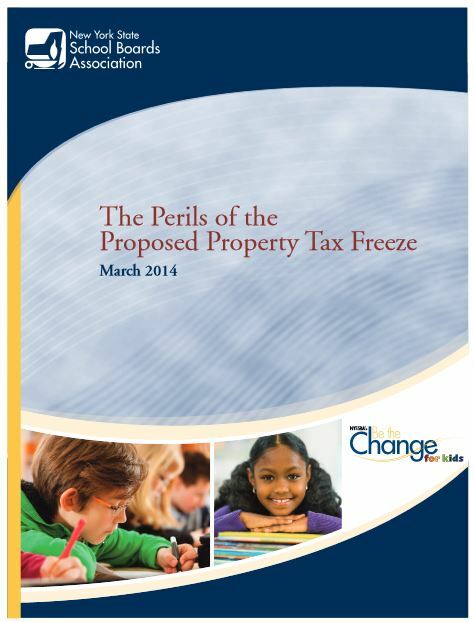 Read our new report highlighting the consequences that the governor’s proposed property tax freeze would have on school districts across the state. 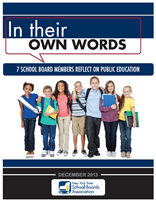 As part of our campaign, meet seven school board members who shared their views on school board service in our latest report, "In Their Own Words." Public education in New York State has never been under greater pressure. Our business community, colleges and universities are clamoring for more highly skilled students, leading to an unprecedented attempt to reform our educational system.